Mark Blankespoor is a Certified Health Coach and Physical Therapist. He has spent the last 25 years dedicated to assisting individuals to improve their health, function and quality of life. He previously owned a successful Physical Therapy practice with 5 clinics, and a 2,000 member fitness business in central Iowa. After 15 years of business ownership, he decided to sell his business and pursue a passion of providing coaching and consulting services with the next era of health that focuses on collaborative wellness. On Tue. 7/10/18 I interviewed my Physical Therapy peer, Staci Lyons, during our weekly 30 minute virtual lifestyle medicine mastermind meeting on her amazing success and pioneering work with lifestyle medicine. Watch quick preview video here! Click here to receive the link the the recording! Staci Lyons, PT, has been a Physical Therapist for 20 years and currently owns a group of private practice outpatient orthopedic clinics in the state of Washington. She also serves as the Director of Lifestyle Medicine and Wellness Services for a local public hospital. Her practices specialize in the management of traditional orthopedic injuries and dysfunction, as well as the prevention and management of chronic diseases and lifestyle-related illnesses. During her career, Staci has had the opportunity to teach for Great Lake Seminars on the holistic treatment of the foot and ankle complex and has given several seminars and community-based presentations on the impact of exercise and lifestyle modification on the prevention and progression of many of the most common diseases. 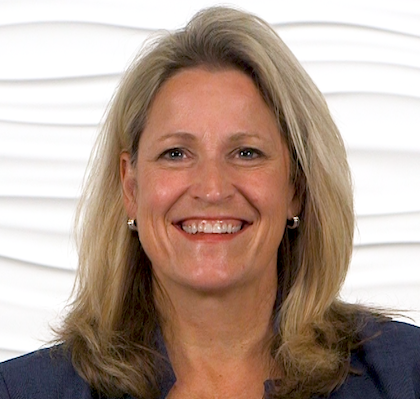 She is also active in her professional affiliations including acting as a Key Legislative Contact for the Private Practice Section of the APTA and serving on the PPS Annual Conference Workgroup. Staci received her Bachelor’s degree in Biology from Washington State University and her Bachelor’s degree in Physical Therapy from the University of Washington. Today I interviewed my business coach, David Bush, during our weekly 30 minute virtual lifestyle medicine mastermind meeting. David was instrumental in helping me to make the needed changes into my life and business to create the results I desired for many years and he’s been a trustworthy friend, leader, coach and mentor of mine over the last 10 yrs. I asked David questions I commonly hear from health professionals on how to overcome the barriers they face to create extraordinary results in their personal and professional life and how to create optimal health and wellbeing in one’s life by integrating lifestyle medicine into their daily work and life! David Bush is an author, speaker and peak performance coach to thousands of individuals from across the nation. After succeeding as a former All-American collegiate athlete at the University of South Dakota and graduating with a Bachelor of Arts degree in Mass Communication, David pursued a professional football career and landed a starting role with the Iowa Barnstormers of the Arena Football League in Des Moines, Iowa and was the offensive center for Pro Football Hall of Fame Quarterback Kurt Warner. After four years of playing professional football and two trips to the World Championship game, David followed his dreams to become successful in the marketplace. Unfortunately in pursuing success in the marketplace, David sacrificed his physical and mental health to achieve his dreams and in 2007 he suffered two back surgeries that took him out of the game of life. This was David’s wake up call to lose weight, get healthy and to learn to live a more balanced and active lifestyle. After losing 100 lbs on his journey to Extraordinary Health, David began focusing his efforts on motivating and coaching others to live healthy, successful, and significant lives. 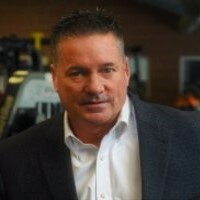 He is now a nationally recognized, Certified Heath and Lifestyle Coach and a leader in the health and wellness coaching industry. He passionately leads the way for those who wish to succeed in life through improved health and wellness. David coaches an elite team of personal coaching clients, health professionals and Certified Health Coaches to achieve Extraordinary Health and he speaks to organizations and associations around the country. P.S. David will also be one of our featured speakers at our upcoming 2018 Lifestyle Medicine Seminar in St. Louis on July 19th, 2018 along with 5 other nationally recognized preventative health and business leaders Lynn Steffes, Jamey Schrier, Russ Certo and Staci Lyons. See details and register now!